LOCATION! LOCATION! LOCATION! 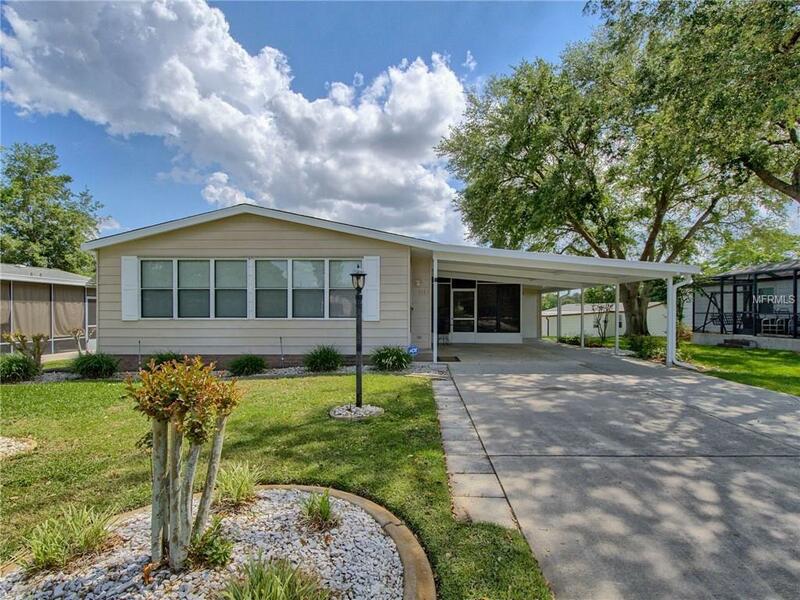 This Beautifully remodeled 2 Bedroom, 2 Bath Manufactured Home is right in the heart of The Villages just minutes to The Villages Spanish Springs Downtown Square. This Beauty has been completely updated and upgraded and is MOVE-IN Ready! Many Features include; Gorgeous wood Laminated Floors complimented by the neutral color palate, Open, spacious and naturally lighted Living Room with Volume Ceilings, Solar Tubes, spacious and updated Kitchen with newer countertop and appliances, Master bath that has been lavishly renovated with a roman shower and vanity with dressing area. Home definitely shows like a model! Additional Features include: Climate controlled Lanai/ Bonus room, lots of windows, plenty of storage, Double covered carport, double Golf car garage/Workshop in rear. NO BOND! Just minutes to Spanish Springs Downtown Square, Dining, Shopping, Medical and much more!